"As a high handicap player, I worked with a number of different coaches over the years. Their methods were good but sometimes confusing and contradictory and as such my game did not improve. I began having lessons with Mark 18 months ago, with amazing results. I have gone from a 20 plus handicapper to 16 and now on my way to 12 and possibly single figures. Mark has endless patience and has a wonderful ability to simplify my swing and approach to the game." "What a golf pro! Mark is highly experienced, very enthusiastic, encouraging and friendly. I started having lessons with him at a really critical time in my golf development and am extremely grateful for the significant step change he has made to my game." "I was lucky enough to have joined the academy several years ago. It was the best thing I have ever done. The encouragement and enthusiasm I was given was fantastic, and still is. I never thought I would be able to hit a golf ball, not always well but still have the desire to keep going. You certainly make it simple, Mark, and easy to understand. The lessons were amazing and the incredible thing is how you still, after all this time, seem to remember what I am doing wrong!! The teaching holiday was terrific fun and so well organised. I would like to thank you for all you have done for me." 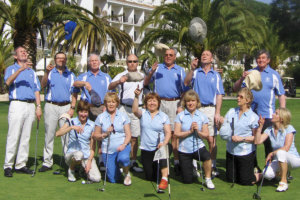 "Mark has helped me through the inevitable bad times in my golf game and with his patience and understanding has helped me down to 12 handicap. His teaching method is not to offer a quick fix but to develop a solid foundation on which to build a solid and reliable swing. Working patiently on my long game and short game he has helped me regain confidence in my game. The lessons are fun, not too technical and easy to remember. Mark has also passed on his love and enthusiasm for the game, encouraging me not only to improve but enjoy it too!" 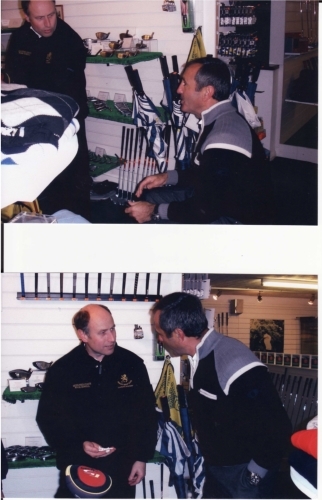 I have been informed that you will be celebrating your 20th Anniversary as the golf professional of Henley Golf Club. Please receive my congratulations for the great work you are doing at Henley and the fantastic way you represent the Club in your County. Continue that way and hope you celebrate it as you deserve.